This has been the season for baby knits, and I am really enjoying it. I’ve just started on a baby sweater for one of my closest friends. This is the second girl after quite a few little boys in the last year. So, I am quite excited about the opportunity to knit girly things. 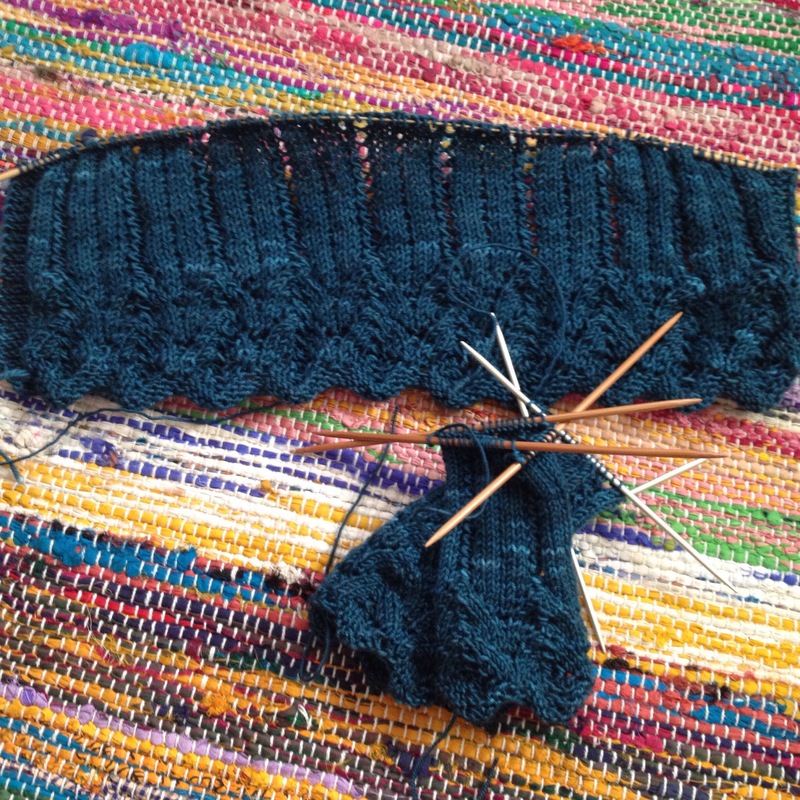 I am doing another Baby Mine sweater because it’s quite positively my favorite baby sweater to knit. The end result is just too sweet. I am using Socks that Rock Mediumweight, as called for in the pattern. The skein was one I purchased at my first ever Stitches Midwest, so circa 2008? It has been hanging out in my stash and waiting for this particular most perfect moment. I am loving knitting baby sweaters. They are so delicate and tiny.